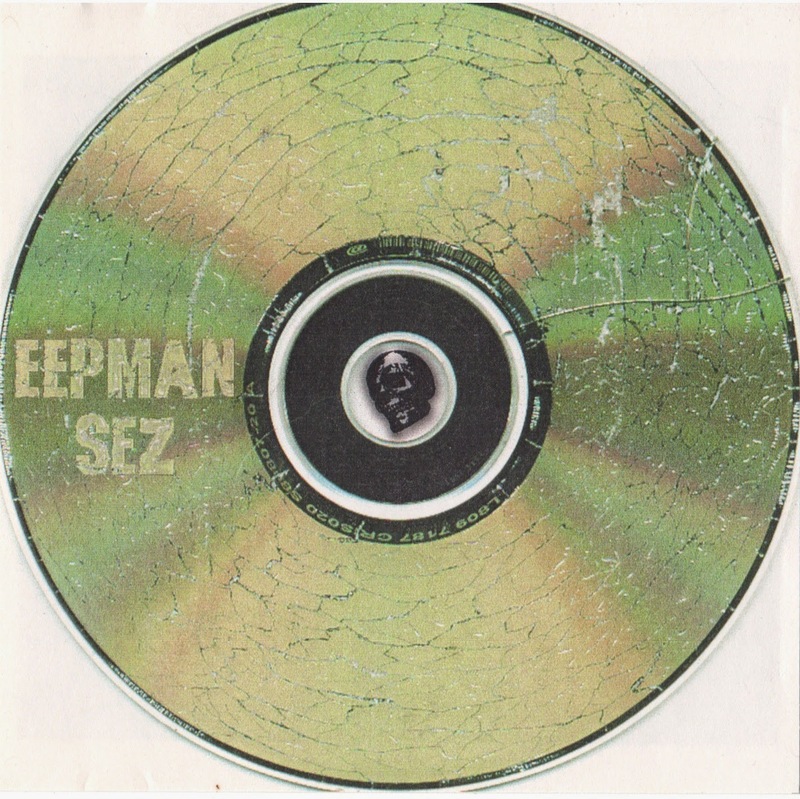 "Eepman Sez" is a weird old American noise comp CDR from the late 90's or early 00's, put together by Scott Bosse/Brxtnle on a label called ELP, which I do not know much about. There are some names here you might have heard of - Crank Sturgeon, Skin Crime, Never Presence Forever, Flatline Construct, IMF (aka Id M Theft Able)- and others that I didn't recognize - Chinese Gordon, Antibody, Flutter, Alhazred. The compiler contributed two tracks, one as Brxtnle and one as Lather. In truth, this disc is a mixed bag. 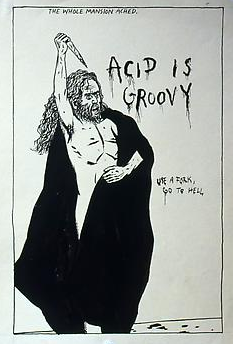 Bands like Skin Crime and Crank Sturgeon are reliably kickass as ever, but there's some amateur hour to skip through too. You may opt to find the relatively inept tracks charming. The album came with little cards for each band, which I scanned all together.